Marissa Farrar: $10 Amazon Gift Card Giveaway and Swag! Plus Cover reveal! $10 Amazon Gift Card Giveaway and Swag! Plus Cover reveal! *SCROLL TO THE BOTTOM TO ENTER THE GIVEAWAY! I'm excited to bring you the cover reveal of 'Wolf Betrayed', the third book in my shifter series, the Dark Ridge wolves! Where the previous books had both been published as part of boxed sets, this book is all brand new content! It will be out on the 19th of April, so not long to wait now. The audiobooks of all of the series are also currently in production, so watch out for news of them coming soon! Never go into the forest alone. Don’t stray off the path. Stay home during a full moon. Wolf shifter Chance Nickoli has always been used to being at the bottom of the pack’s hierarchy. He thought he was content until an attack that originated from his own pack left him scarred. Pondering his future, Chance takes to the forest in wolf form. The last thing he expects is to catch a scent he recognizes instantly as belonging to his mate. A mate he hasn’t even met yet. He’s even more surprised to discover his mate is human. The Dark Ridge Wolves can each be read as standalone books, as each story follows a different couple, but they are best read in order. You can buy the first two books from Amazon for only $0.99 each, or free with Kindle Unlimited! Do you want to win a $10 Amazon giftcard and some swag? Just follow the instructions below. You'll need to head over to this post on my facebook page in order to complete a couple of the entries. Good luck! My sister would enjoy this read. Looking forward to reading this..
More great books!! Keep them coming!! I love wolves! I really like this white one. Wow, this sounds really good and love the cover. Good to read about your books. They sound interesting. Looks amazing! Can't wait for the release!!! So want to read this! Congratulations! I love your cover. This sounds like a great read. Great cover! I love the blurb & looking forward to reading it! This cover makes me so happy! There aren't nearly enough people who use green out there. I can't wait for the 19th! This sounds awesome! The cover is absolutely stunning. I can't wait to read this series, definitely moving up on my TBR list. Hi Bonnie! You're my winner! I sent you an email, so check I didn't end up in your spam. Congrats! Great cover! Thanks for the chance! Love the cover. Thanks for the chance! Love the cover - the shades of green are awesome!. Description sounds good as well. Keep in mind this ought not be swiped but rather ought to be physically encoded by the clerk in the event that you intend to utilize it in a corner store. 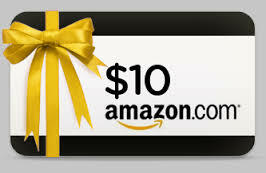 Hyperlink Update here: How To Get Free Amazon Gift Cards Delight in!